← A Message to Commenters – Calm Down Dears! Before anyone gets angry about the headline I have chosen, I am simply reflecting what a commenter on a Rangers fan message board yesterday suggested the coverage would be. Of Mr Di Stefano’s claims to fame, his involvement with Rangers, whilst being most recent, is almost certainly his most trivial. The heading could have been “Ex-Dundee Director Jailed” or “The ‘Lawyer’ for Saddam, Milosevic and Arkan Convicted”. I am sure his life story, if ever written and told accurately, would tell a remarkable tale. He indeed promises a free e-book to be published imminently detailing his trial and his life over the last ten years. There can be no doubt at all that he is a perfect example of hiding in plain sight. Indeed he has been voluble even since the conviction and sentence. In a democratic society we must accept the verdict because although the criminal justice system is not the best and probably not the fairest – It is all we have. We must accept the system and accept any verdict no matter how much it can be contested. We must also accept the verdict not as a final result or even whether one is guilty or innocent but as an indication and prospective of a better and fairer system to come. The real Judge and Jury will be history not people. So what did Mr Di Stefano do to receive such a sentence? The City of London Police issued a statement yesterday, which I reproduce below. A self-styled ‘lawyer’ who built notoriety, fame and the nickname ‘the Devil’s Advocate’ for the type of cases he took on has today been jailed for 14 years for a catalogue of crimes including deception, fraud and money laundering following a long running City of London Police investigation. Giovanni Di Stefano had no legal qualifications yet had developed a reputation among both the criminal underworld and with some lawyers in the legal community as a man who was willing to provide services to clients whose cases were otherwise considered too difficult to win or defend. Yet Italian-born Di Stefano was not registered as a bona fide lawyer in either Britain or Italy, despite using the word ‘avvocato’ to suggest that he was the equivalent of a lawyer and operating under the company name Studio Legal Internazionale, which translates as ‘International Law Firm’. According to the Law Society, Di Stefano was not listed as either a registered European or foreign lawyer and neither was he registered in the Ordine degli Avvocati in Rome. Di Stefano, aged 57, from Marshside, Canterbury, but who had previously lived in both London and Rome, came to the attention of specialist fraud detectives at The City of London Police in 2005 after the Law Society passed on a financial misappropriation complaint made by a client he had engaged. A painstaking seven year inquiry followed that resulted in the City of London Police amassing more than 175 witness statements, 15 lever arch files of material and more than 6,500 pages of exhibits. It was uncovered that Di Stefano had consistently manipulated and deceived the criminal justice system in this country. Di Stefano was arrested in Spain using a European Arrest Warrant and brought back to the UK for trial at Southwark Crown Court, where he denied a total of 25 charges – including obtaining a money transfer by deception, fraud, money laundering through acquiring criminal property and using criminal property, using a false instrument (a record and letter), attempting to obtain a money transfer by deception and obtaining property by deception. Di Stefano denied the charges but the jury unanimously returned guilty verdicts on all 25 counts against him after four hours of deliberation. The court was told during the trial that there were 10 victims or sets of victims who among them, between June 2004 and December 2011 lost nearly £1 million. Some who lost money to Di Stefano were people who had been convicted of criminal offences, but more often it was their family members who were asked to pay his demands. Di Stefano also subsequently pleaded guilty to two further charges of fraud, one in relation to Hertfordshire Police Authority and the appropriation of £150,000 in relation to an insurance claim by a man who sought compensation following a car crash in which he lost his arm. He also tried to undermine the case by taking out a private case against the officer in charge of the case, which was thrown out of court. After the case, Det Insp Matthew Bradford, from the fraud investigation team in the City of London Police Economic Crime Directorate, said: ‘This is a man who courted publicity, fame and even generated notoriety and respect for his legal services – but it was all built on his lies, deception and greed. ‘The irony is that among Di Stefano’s clients were individuals who were being prosecuted for serious criminal offences or had a criminal background – yet they themselves became victims to Di Stefano’s crimes. Det Insp Bradford added: ‘Di Stefano was convicted of serious fraud at the Old Bailey in 1986, at which point the then trial judge described him as one of “life’s great swindlers”. That is as true today as it was then. It is not really necessary to add comment to a 14 year sentence for financial crimes like these, but Mr Di Stefano’s career justifies an exception being made. My only personal involvement with him occurred when he picked up on and replied to a couple of tweets of mine about Rangers. In addition, I had been careful to delete references to him on my blog which were less than complimentary, simply because of his reputation as an extraordinarily litigious character. He had a long-running battle with Private Eye, which repeatedly referred to Di Stefano’s prison sentence in 1986, also mentioned by Det Insp Bradford above. In preparing this post, I came across an interview Mr Di Stefano gave to Peter Popham of the Independent in 2008. The full piece is well worth reading. Some parts of it are very note-worthy standing yesterday’s news. Quick quiz: what two things do the following people have in common: Ian Brady, Harold Shipman, Jeremy Bamber, Nicholas van Hoogstraten and Saddam Hussein? Answer: whether alive or dead, they are all notoriously bad people. And all have been legally represented, or so we are told, by Giovanni di Stefano. I predict that Mr Di Stefano will be claiming imminently that he is “an objective”. Di Stefano has also spent some considerable time in jail, as I feel obliged to remind him. He was convicted of fraud on 18 March 1986 following a 78-day trial at the Old Bailey. I feel disturbed: there is deep confusion in what he’s saying. On the one hand he is going after Wikipedia because it’s anonymous, and that’s a question of principle; but then in the same breath he brings in Jim Cusack from the Irish publication the Sunday Independent, and it’s obvious from his malign tone that he is bitterly looking forward to Mr Cusack being banged up. And the same fate will be in store for me, he implies, if I am so reckless as to follow in Cusack’s footsteps. I have never been threatened by an interviewee before. It’s an unpleasant sensation. But then I have never before interviewed someone who has been reported as saying he would represent Satan in court because “his side of the story has never really been heard”. Giovanni di Stefano has a habit of being economical with the actualité, as I discover while rooting around in an online news archive. But unfortunately for him, the documents are not forgeries: Giovanni di Stefano, who at the time used the English form of his Christian name, John, did go to jail, and he did lose his appeal. When he came out in 1988 he went to work for a London solicitor as a solicitor’s clerk, but secretly removed more than £270,000 from his employer’s accounts. The Solicitors Disciplinary Tribunal found that he “had perpetrated considerable fraud upon a great many people”. He was barred from future employment with a solicitor. Even his most basic claims are unreliable, it turns out. During the 1986 fraud trial, the PhD he said he had gained at Cambridge was exposed as a lie. And in 2004, Geoffrey Negus, press and public relations officer of the Law Society, said, “Giovanni di Stefano is not a solicitor, or a registered foreign lawyer, or a registered European lawyer.” It’s the same story in Rome. The waiters at his club politely call him “Avvocato” (lawyer), but Italy’s national lawyers’ register has no knowledge of him. On their list of avvocati, “DI STEFANO, Gianni” is followed immediately by “DI STEFANO, Giuseppe”. Of “DI STEFANO, Giovanni” there is no trace. And his tweet asking why would he steal £1 million when he had access to £20 million is the type of argument that comes from a client who is “done out of the park” or “bang to rights” and is looking for any possible excuse for their behaviour. “How can I be a thief as I could have stolen more” is not the defence you want to hear your client advance! His “legal firm’s” website is no longer available on the Internet. We cannot therefore read his full list of clients whose interest he claimed to represent. There is nothing wrong either, and indeed it is an essential part of a civilised legal system, with even the most notorious of wrong-doers having proper representation. Even with the confidence that Mr Di Stefano expressed in the British police, that they got 99% right, there would always be people in that 1%. It does seem most odd that he could have continued on his merry way for as long as he did. After all the Independent piece, for example, makes clear that, despite his claims, he was not a lawyer. His position that he had been cleared on appeal of his conviction in 1986 too was shown to be false. Indeed, following that conviction Mr Di Stefano pursued a complaint about delays in the proceedings against him to the European Court of Human Rights. His application, made in 1986, was ruled inadmissible in 1989. Interestingly, by the time he came to trial (and this was the basis of his complaint to the European Court of Human Rights, he had been on remand and in custody for 19 months. Mr Di Stefano’s reference to doing 9 months in prison might well be correct as far as the period after the verdict goes. That would mean he had spent 28 months in custody (including his time on remand) and thus would be deemed to have served the time making him eligible for release. His denial of the facts and his efforts at gaining publicity (generally successful) show how easy it is to pull off a con. Like all the best hustlers, he did it in full view. How could anyone doubt he was a lawyer? After all he acted as a lawyer for all these people – how could he do so if he was not a lawyer! In the Sheriff Courts in Scotland it is highly unlikely that anyone would insist upon seeing proof that one was entitled to appear in court as long as you turn up with a gown and wearing a suit. But, if one appeared on TV and in the press speaking as a solicitor, then one would think that someone would take an interest! After all, that is what regulatory bodies are for! But now it seems the di Stefano show may be coming to an end. His claims to be a qualified avvocato – an Italian lawyer – are in doubt after he failed to produce evidence to justify them. Without such a qualification, he would not be eligible to practise as a solicitor or barrister in the UK. As a foreign lawyer, he would also be required to be registered with the Law Society: the Law Society says that as far as it is concerned, he is not entitled to practise in the UK. At the last count – and allowing for the loss of Shipman – he claimed to have 36 clients in jail awaiting appeals. But despite the success of the van Hoogstraten and Palmer cases, with the Lord Chancellor being urged to investigate the Italian’s right to practise law in the UK, his most impressive legal performance may yet need to be in defence of Giovanni di Stefano. A prescient piece, and no mistake! And then, perhaps as his last hurrah, he popped up, like the Demon King, in the Rangers saga. His appearance was not invited by anyone involved with the football club, nor can anyone involved with oldco or newco be linked to him. He was simply a sideshow. But his appearance, which included him acquiring a share in oldco (even though it was in administration) and trying to take action against Duff & Phelps, the administrators, as well as writing to the English football authorities looking to get oldco Rangers admitted to the Football League, was welcomed by some fans. This shows I think the desperation many of them felt. It was sensed that there was no way out for the football team at that stage and anyone who offered a chink of light or who brandished even the flimsiest of straws, was seen as a potential saviour. Fortunately there is no suggestion that Rangers fans paid Mr Di Stefano anything for what he was doing or trying to do for them. At least they do not join the list of his victims. So, one of the most colourful characters in Scottish football history, following his time at Dundee and his involvement with Rangers, is now off to languish in gaol for a good many years. Have we heard the last of him? I very much doubt it. And think how many clients he can accumulate now – as he is with convicted men on a daily basis! Despite his words above, in his post-verdict statement, he will undoubtedly seek to appeal. He is already making it clear that he is a victim or a target for the state. 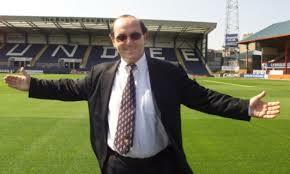 He will, as the Scotsman said, now continue with the defence of Giovanni Di Stefano! Your taking a chance; “horrible little man”? I’m sure that Giovanni has access to WI FI. He may well be horrible; but don’t mention his height!! The wee man has friends in high places. Reports are already coming in of a jailbreak at Shortshank Penitentiary. (the warden at Shortshank must have wee feet). Any alleged copyright infringement shall be vigorously defended. When he approached my friend Tricia Walsh-Smith & asked to view her pre-nup (knowing that she’d been screwed over with her divorce in the New York courts) he came across as very credible because he picked up on the the exact 3 points that she already knew rendered the document null & void. He promised her he would get her justice “out of jurisdiction” and said all of the right things, that she was desperate to hear. Of course he was just playing her as he had done so many times before with all of his other victims. He’s now where he belongs. It only takes 1 victim to stand up to encourage others! Tricia Walsh-Smith had the guts to stand up to di Stefano. I have more than a sneaking admiration for the great bluffers and fantasists in life. They brighten up the hum-drum nature of daily existence. And please, no pious claptrap about their victims. G’day G’day all….Personally I can’t wait for the book… Interesting character even though he was a shyster and more.. Need to scoot gonna see the bookie about a piece of the montrose action today before heading into town with the kids.. I have to disagree with you there Mick. Bumping a guy who has lost an arm for his compo is up there with robbing old grannies in my book! As so often in fraud, too much weight is given to the monetary value, and not enough to the victims plight. His “legal firm’s” website is no longer available on the Internet. …. As well as a nice wee collection of his legal documents …..
What I meant was that it was no longer a live site, but of course Google caches, Way Back machines and the rest mean that nothing ever disappears from the web! had to smile when I previously discussed futiility of removing websites/blogs etc iin very early Feb ……. at that time to quell the discussion on the ‘missing’ RTC blog ….. and explained HowTo access it and all content ……. that within days it mysteriously re-appeared ……… Not suggesting any connection ….. just saying like ! Holy Switcheroo ………. Vatican website Hacked ………. By Batman ! Do I win cam ? I have been flabbergasted for years how this self promoting shyster has gotten away with it. The best of it is I bet when he does get out he won’t be broke. He certainly brings a new facet to the phrase ‘brass neck’. His brass neck knows no bounds. Again, somebody should have been checking his credentials. This all sounds very familiar. Now where have I heard that before?????? Well done the mighty Montrose pmsl, I wonder if the Montrose manager will put this disappointing draw against a club only months old, down to lack of RESOURCES………. 54 titles , 33 fa cups , 27 league cups , 1 div 3 title ….. ranked 90 in UEFA co efficient , our greatest victory will be the laughter of our children . Thinks must be desperate down IOUbrox way. They’ve taken to wearing Oldco strips. The ones with the five stars on. Surely UEFA and FIFA should be told about this fraud. Maybe UEFA and FIFA , agree it’s a new company , same football club , your bewilderment , confusion , bitterness , hatred and stupidity are a great source of comfort to us bears in some very trying times , 54 and counting . I remember Di Stefano offered to defend Arkan. 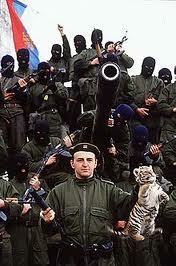 Arkan – wasn’t he the leader of the guys that dressed in black and had white tigers. Oh wait a minute, I think that was Seigfried and Roy. I am always confusing Serbian war criminals with high camp magicians. I attended much of di Stefano’s trial at Southwark Crown Court as a paralegal Researcher. Fortunately for him he got a fair and compassionate Judge who took pains to ignore the criticisms/bad feelings and rumours that circulated daily about di Stefano, and afforded him every courtesy and protection in Law throughout the 7 week trial. Another Judge might well have allowed the daily gamut di Stefano had to run from media and victims alike, but Judge Alistair McCreath ruled against any intimidatory interference or media reference from the start. In his summing up McCreath put ‘both’ sides of each charge to the jury: prosecution and defence. He is a clear, self-effacing, balanced and communicative judge who patronizes no-one but respects everyone. If you read through his sentencing narrative you find that great weight was put on the innocent victims of di Stefano’s consistent and flagrant ‘cons’; people such as Robert Brown ( who lost not only all his money but his home and employment), Joyce Musgrove, ( a Pensioner who gave di Stefano her entire life savings of £75k for the purchase of her son-in-law’s home,) and the young man who lost his arm in a coach crash while on holiday in Argentina and whose insurance claim was unfortunately ( and fraudulently) taken up by di Stefano who pocketed the £150k paid by the Insurance Company for the loss of the limb. At no point throughout his protracted trial did di Stefano show any regret, remorse or apology for any of his crimes. Throughout the trial he was on bail and frequently asked for days off for hospital/medical appointments. One such ‘hospital appointment’ was spent in an Internet cafe with his son in Camden! One can only speculate as to what they were doing. While di Stefano remained ‘in role’ throughout his own trial and sentencing, ” Im much obliged, my Lord!” – he has much to actually fear while incarcerated from the families and friends of many of his jailed clients, such as Paul Bush, whom di Stefano ripped off on false promises of representation at Appeals where no Appeals were forthcoming, after stiffing them for £1,000’s. A person who finds themselves convicted of a serious crime has the right to an Appeal, whether actually guilty or innocent. Wrongly convicted people see that Appeal as their hope of justice and without it they face years of imprisonment, ruin and the disintegration of their family life. Rightfully convicted people see that Appeal as another bite at the cherry which might successfully lead to a reduction in sentence – but what have they got to lose by asking for an Appeal anyhow? So the right to seek an Appeal is there for everyone.Ironically in most instances, criminal Appeals are legally funded! But di Stefano doesn’t do pro bono work! His modus operandii was to promise, impress, assure victory, take as much money off the Appelant’s family as quickly as possible before disappearing. He has a catalogue of vicious threats in the form of emails, letters and texts to anyone daring to ask for their money back. He claimed he had judges in his pocket, decisions agreed behind closed doors, influence with the Appeal Court itself etc., and desperate people believed him. The jury sat for the sentencing and listened to the two new charges put to di Stefano before sentencing; the Brown case and the Insurance theft case. 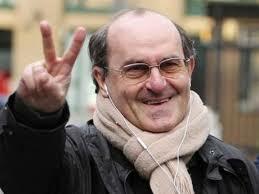 In a plea bargain, di Stefano pled Guilty to both from the dock. The jury literally had their breath taken away at his audacity; his Guilty pleas to these two charges earned him a 1/3rd reduction in sentence were he to have been found guilty of each charge at a further trial. He had wasted weeks denying every one of the 25 charges he was guilty of. He has left 100’s of ordinary, innocent people ruined emotionally and financially, and made enemies both inside and outside prison. Hopefully more of his victims will now have the courage to come forward and lets see what di Stefano comes up with at his inevitable Appeal. Its easy to say he’s a nutcase and lives in a fantasy and cannot see the reality of what he is doing. His self absorption with his self appointed role indicates a psychopathic personality which makes him far more dangerous than many of those people whom he (mis) represented in the past. His access to Twitter and such like while in prison affords him privileges many do not share! As for his victims – they are still awaiting their privilege and right to Justice. Sadly, there are many such deluded and dangerous ‘lawyers’ operating the same sort of scan, though at lower profile levels than the di Stefano ego. I can only urge victims to come forward bravely and help get these bogus psychopaths off the streets. ‘Proceeds of Crime’ assessment is in process but no doubt he has assets and other victims in the pipeline. That is the nature of the man. Anyone who thinks the sentence is funny or unjust – try to put yourself in the position of the young man who lost his arm, or Mrs Musgrove who lost her life savings, or Mr Brown who lost his home, job and savings. Couldn’t happen to you? Hi again Martha, Really interesting comment. I have to say though, no way has he got access to twitter in prison. It’s his mistress/online publishing editor Tiina who’s been tweeting on his behalf since the verdict. I know it’s been in the press that’s it’s him tweeting, but it isn’t. He never used to use hashtags for starters. Never, not once before the 27th. He has never been to Camden and he was taught about hash tagging during the trial, he had no idea what it was and was told it would be easier to have a hashtag saying.